Our Custom Outdoor Chaise Cushion calculator is an easy step-by-step process that allows you to pick your own fabric from our wide selection of Sunbrella and Outdura outdoor fabrics, enter your width and depth, thickness, fill and style. It is that simple! You have your choice of 1, 2 or 3 breaks in the cushion. Choose the number of breaks according to the number required for the shape and style of you chaise lounge. When entering measurements, start at the top, or head, and go towards the bottom or foot area. For example, section one is the dimensions for the back part of a one break cushion with section two being the seat. 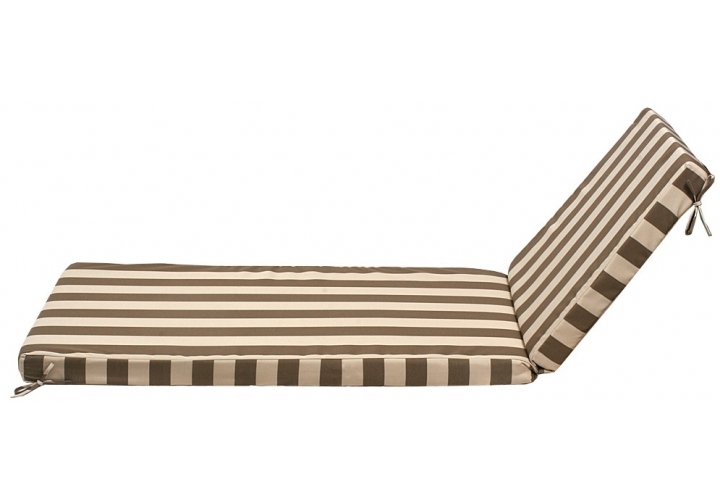 If you choose to add ties to your cushion, they will be made with the same fabric as your custom chaise cushion. The average length of all ties will be 23" - 25" before being put into the seam. After the tie is folded in half and inserted into seam, the actual length is approximately 11.5" - 12.5". Why buy your chaise cushion from us? 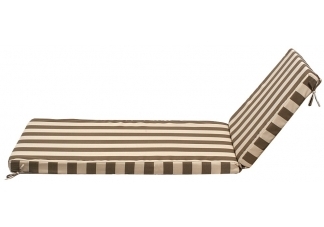 There are currently 0 reviews for the Custom Outdoor Chaise Lounger Cushion.